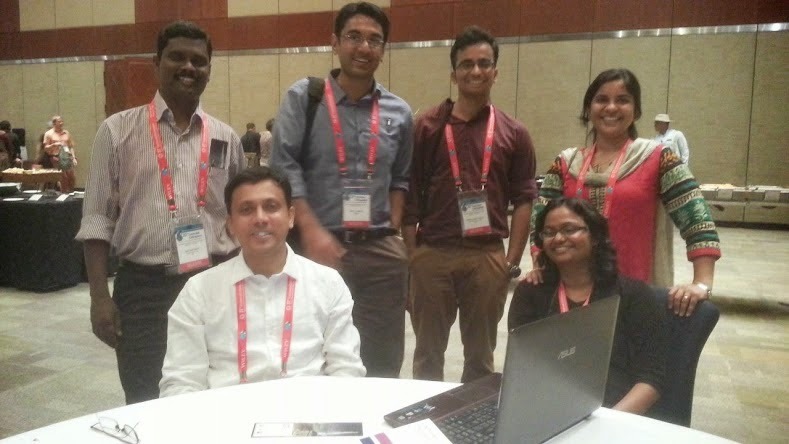 This blog-post was submitted by: Tarun George- with Anand Viswanathan, Samuel Kamalesh Kumar, Donae Elizabeth, and Riya Mathew from the Christian Medical College, Vellore, India, and recounts their experiences at the recently concluded 22nd Cochrane Colloquium held at the Hyderabad international Convention Centre. 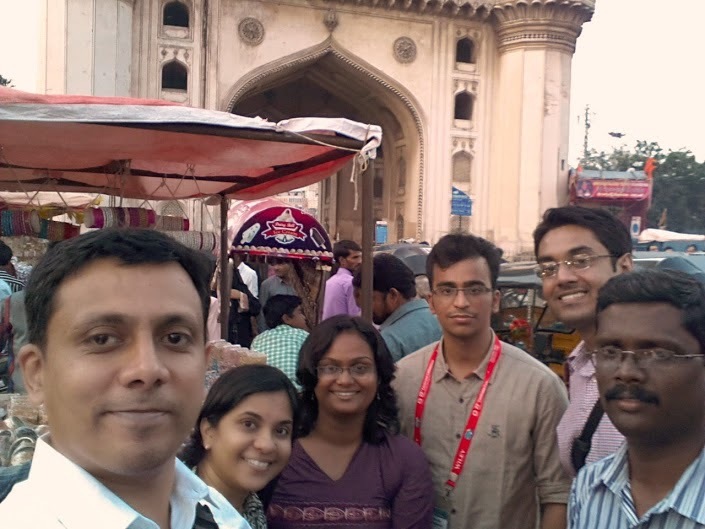 An internal medicine physician, a psychiatrist, two physical medicine & rehabilitation professionals, a primary care physician working in rural India, and a final year medical student from a government college independently decided to attend the week-long Cochrane Colloquium in Hyderabad from 20-27 September 2014. We all had different reasons for it varying from scepticism, plain curiosity and a deep desire to become part of the Evidence-Informed Health Care movement. The differences notwithstanding, this was an eye-opening experience for all of us. Many of us discovered that Cochrane was not just about systematic reviews, but that its core thrust was to promote people-centric quality research by critically appraising all available evidence and contextualizing it to inform health decisions relevant to the patient in front of us and to achieve better health outcomes. The Cochrane Colloquium was a global forum attended by about 600-650 people from different parts of the world, with varying backgrounds and skill sets, at different stages of knowledge generation and delivery. The common denominator, though, was ‘moving forward’. Everyone was supportive, and always willing to help. We met people from a myriad of fields -statisticians, librarians, researchers, medical students, public health officials, nurses, physical & occupational therapists, traditional medicine practitioners and clinicians. At the newcomer’s session we discovered that everyone had a unique story on how they became part of this network. We built many lines of contact and made numerous friends. At the pre-conference workshops we tweaked our skills at getting the evidence right. Renowned names from the publishing world sensitized us on the peer-review process, and on what the editors look for in a journal submission. We were educated about the approaches to systematic reviews, and that in order to conduct sound secondary research one has to be reasonably adept in understanding primary research- sample size calculation, assessing risk of bias, study design methods etc., and to carefully interpreting results. The plenary sessions predominantly focused on how to achieve better public health outcomes and to build capacity. We were given insights into the complexity of health systems especially in low- and middle-income countries. Many speakers concurred on the need for a concerted effort from all the stakeholders- that includes lay people, the ground level health-workers, the researchers and the policy makers at the top. Only then we would be able to gather appropriate evidence in the right way, make informed decisions,and channel our scarce resources to achieve the best possible healthcare for all. The Colloquium concluded with a magnificent gala dinner where delegates participated in a Bollywood dance-off, and some of us shook our tail feathers! We departed over the weekend with resolves for ourselves and for our institutions. So what did we take back from the colloquium? This is a consolidated synopsis arrived at over a cup of chai at the Charminar. Go back to being students! Work towards “effective healthcare for all” with optimal utilization of resources. Capacity building at all levels is necessary, but we could start from home, by strategically empowering people like you and me in this vast web of health-care. The first step would be to meet periodically in informal gatherings, discuss how to go about achieving these goals and get the rest of our community involved - from the librarian to the clinician. Hoping to meet some of you at the next Cochrane EBM forum and take things from there. What a great story! Thanks so much for sharing this! Would love to hear more from you. nice good blog i am like your post. Want to know about the 4cmc crystal and want to buy it?